Welcome to www.maureenwrites.com, the website of writer, author and photographer Maureen Sullivan-Hartung. 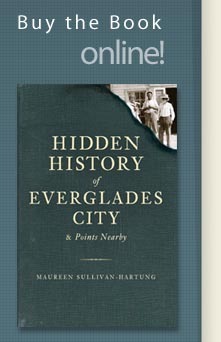 In addition to her love of local history, Naples freelance writer Maureen Sullivan-Hartung is also a nature lover and supporter of our local environment belonging to the Friends of the Everglades begun by the late grande dame environmentalist Marjory Stoneman Douglas. Maureen is also a Friend of Rookery Bay, a Friend of the Conservancy of Southwest Florida; a Friend of the Audubon Society, as well as a Friend of the State Parks and a Friend of the Everglades National Park. "Everyone who comes to visit me here in Naples always gets a tour of Corkscrew Swamp Sanctuary, the Naples Pier and the nearby Everglades. Southwest Florida's climate is totally different from our northern neighbors and I want them to be able to see those differences, because we do indeed live in a beautiful paradise." Maureen has lived in Naples since 1981 and has been freelance writing since 1994, following a year-long stint as a weekly newspaper reporter. Her articles and photographs have been published in numerous magazines throughout the state of Florida. 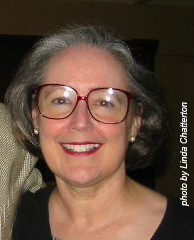 A sampling of her articles and photographs are available at this website for your enjoyment. Maureen's book, articles and photos are now available for purchase. She is also available for speaking engagements, book signings and writing or photography assignment. For additional information, please e-mail Maureen at mshwrites@gmail.com.